Our high quality stretched canvas wraps are digitally printed at high resolution on semi-­gloss canvas material. To ensure the highest quality and precision each canvas is carefully hand wrapped onto MDF stretcher frames. Quickly transform your favorite picture into a piece of artwork. Examples of how popular sizes of your print look against a standard couch. 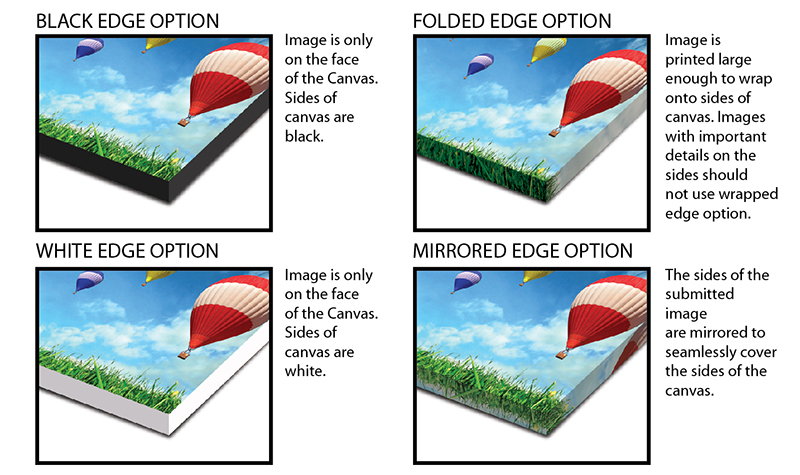 Note: Gallery Wrap 1.5” with “fold” edge option require 1.75” bleed on each side. 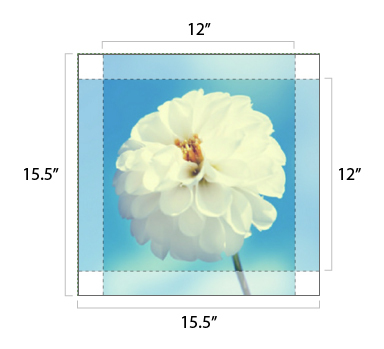 Example: Submit 15.5” x 15.5” artwork for 12” x 12” Gallery Canvas Wrap (1.5”). Choose from our standard size canvas prints for your home or office.